Whats better then coming down to Bunnings on the weekend and grabbing a Sasuage Sizzle and ice cold drink? The best bit is that we raise funds for our much needed animals as well! Adoption Days are a great chance for you to come down and meet some of our animals currently available for adoption! Bring the whole family along and let the furbaby cuddles brighten your day! Each year FFFR participate in many events such as Paws in the Park, The Dog Lovers Show and many more! Stay up to date with where you can find us and some of our available furbabies here! 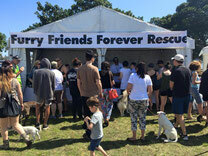 Furry Friends Forever Rescue is a registered not for profit organisation, it's charity status DGR. 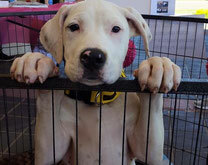 Our primary aim is to rescue and rehome abandoned, neglected or abused animals of all shapes and sizes.